brooke: Thinking about what we value. Thinking about what we value. 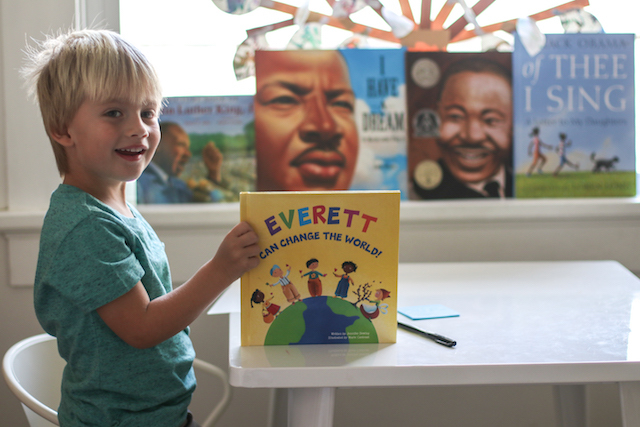 The first week of doing “school” at home with Everett, I realized what I really care about when it comes to Everett’s “school” this year, and really, our family life in general. After the second day of practicing shapes back in September, when Everett still couldn’t remember what an oval was, I thought to myself, do I even care if my three year old can identify an oval? No. He’ll learn it eventually. I don’t know any adults who don’t know what an oval is, and I can’t think of a time when it is important to actually know what an oval is. 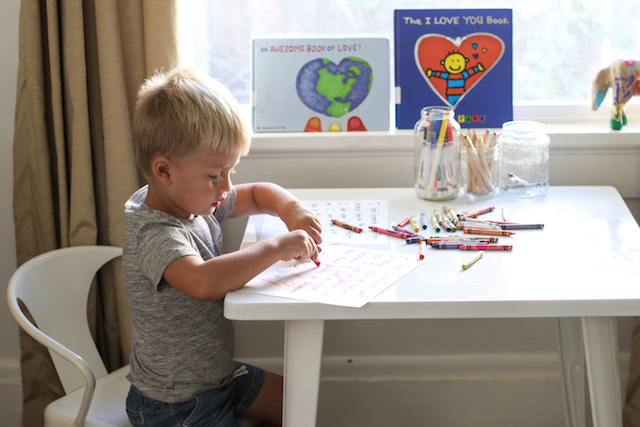 I realized that I just wanted to make learning fun for both of us (and Cambria, too), and to focus more on him being an awesome person than learning traditional school topics. Those values and themes guide my lesson planning and our day to day living. Turns out that trying to encourage gratitude and kindness is a lot more challenging than just teaching what an oval is. My three year old has mood swings, so sometimes I feel like I'm succeeding in raising a kind kid, and sometimes I wonder. The photos below are one example of something we do for “school." We called this "Love Day," and the focus was on spreading love. 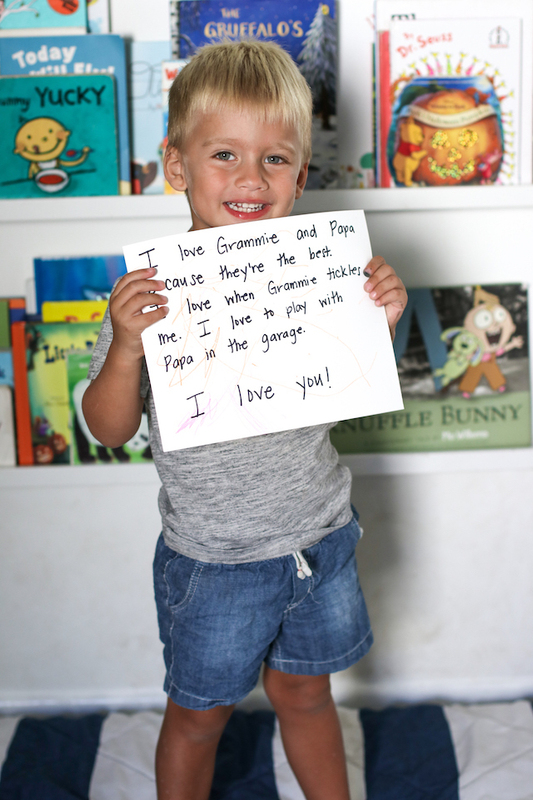 Of course, when I asked Everett who he wanted to spread love to, he chose his grandparents. We read three books about love, then created love notes, and sent these photographs to the recipients of the love. 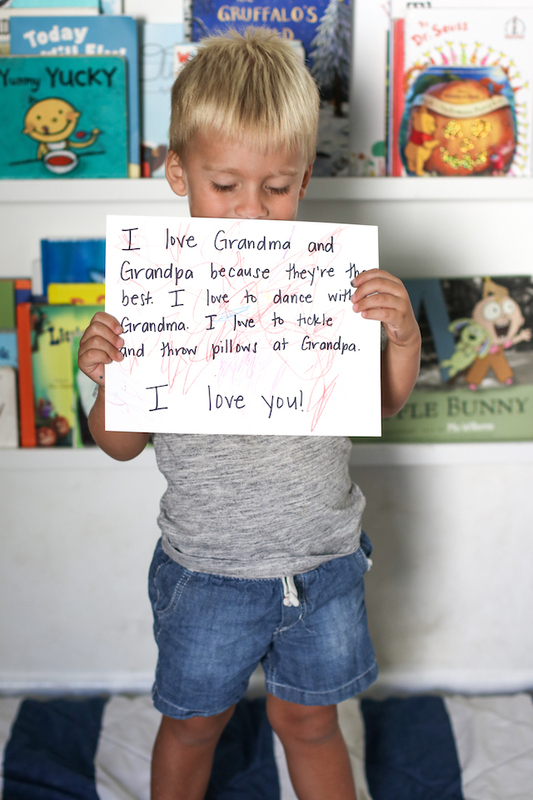 He only had stamina to create two love photographs, so these are what we emailed out to the grandparents on "Love Day."